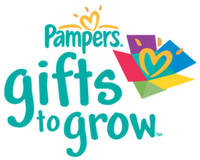 If you haven’t joined Pampers Gifts to Grow yet, now is the time! You will receive 100 points when you sign up! You will also receive triple points on Pampers Wipes codes between now and 4/18. When you have redeemed codes for points, you can use your points toward coupons, photo deals, and other fun deals. Check out more Pampers Gifts to Grow Codes.